Facts, Faith, Feelings. 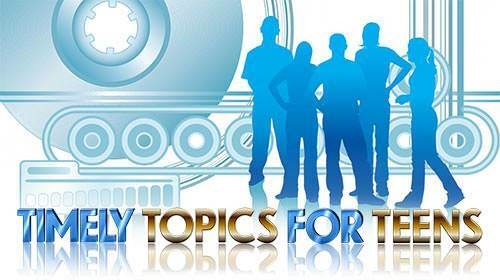 Lesson 3 in "Timely Topics for Teens"
FACTS! FAITH! FEELINGS! These three things are vital in our lives. It is important that we know something about each of them, but it is even more important that we get them in the right order and keep them there. Most people try to put feelings first, but that's like trying to build the roof of a house before laying the foundation. It just won't work that way! The right order is facts, faith and then feelings. 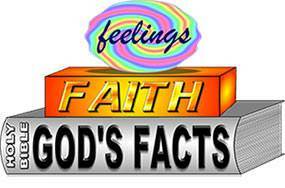 Facts form the foundation; faith rests upon facts; and feelings come last. Facts are true any time, anywhere. Let's look at these, one at a time. First, facts. What is a fact? A fact is something that is true. For example, two plus two equals four. This is a simple mathematical fact. It is true in the United States, in Russia, or anywhere else in the world. It was true thousands of years ago, and it will still be true thousands of years from now. Your believing it does not make it true. It is true even if no one in the world believes it. A fact is true in and out of itself, regardless of faith or feelings. If it is not true, it is not a fact! Faith's value depends upon it's object. Now let's think about faith. Faith is so important that the Bible says, "...without faith it is impossible to please God…" (Hebrews 11:6) But what is faith? Faith is belief in something. Notice that faith must have an object. In one respect, faith is like eyesight—it must have an object. The way you know you have eyesight is that you see something. True value depends upon its object, not upon itself. It is not the amount of faith that is important but the worthiness of the object. Let me illustrate. Suppose you are walking through the woods, and you come to a stream. 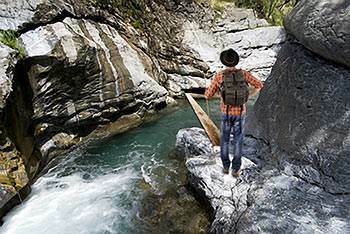 A single plank spans the stream. As you look at the plank, you must decide if you will risk walking across it. You notice that apparently others have crossed safely, so you decide to trust it. The moment you step out on the plank, you are exercising faith. This is fine, but whether you get across safely or not now depends upon the plank. You may have a lot of faith, but if the plank is rotten, you will land in the water! On the other hand, your faith may not be so great, but if you have a good plank under you, you will get across safely. From this, we see that the real value of faith depends upon its object. This is why faith must rest on facts. What about feelings? Where do they come into the picture? Feelings are emotions inside us. Unlike facts, feelings can be very changeable. We may feel good one day and be downcast the next. But regardless of how fickle our feelings are, they do not change facts. For example, suppose you receive a letter from a reputable law firm informing you that your uncle Joe has died and left you two hundred thousand dollars. You might say, "But I don't feel like I have all that money." Perhaps you don't, but, nevertheless, you do have it. It is a fact that the money was left to you, and it is yours regardless of how you feel. 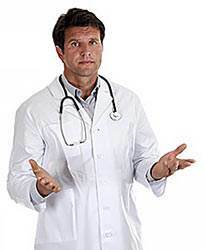 Perhaps you go a doctor for an examination, and he tells you that you have cancer. You may say, "But I don't feel like I have cancer." Nevertheless, you do have it. Facts are facts, regardless of how you feel. 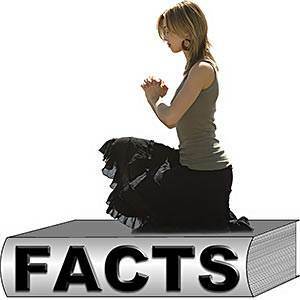 Now, let's see how facts, faith, and feelings relate to the Christian life. In the spiritual realm, God has revealed certain facts about Himself, man, sin, and salvation. These are the most important facts in all the world for us because they affect our eternal destiny. These facts are so important that God did not depend upon chance to get them to us. He has caused them to be written down in a book which we call the Bible. Christ's death and resurrection are historical facts. Jesus died on a Roman cross outside of Jerusalem. This is a great fact of history. The cross of Christ is a fact; the empty tomb is a fact; His resurrection is a fact. His work is a finished work. 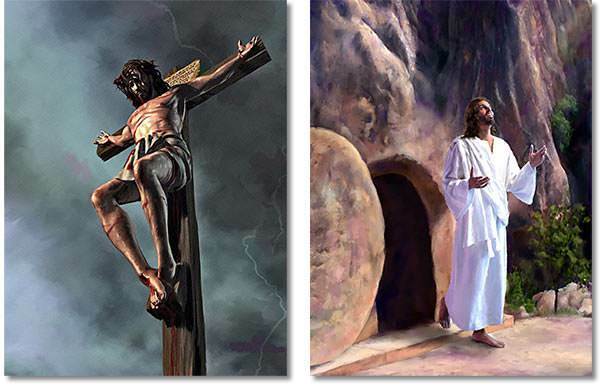 On the basis of His death and resurrection, God freely offers forgiveness of sins and eternal life to all people. Here is where faith comes in. God has provided a perfect salvation, but it won't do you one bit of good if you don't believe it and accept it. God has done everything in Christ, and now He asks for faith on our part. What is faith? Faith is simply our acceptance of God's facts. 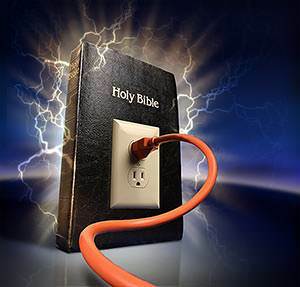 When a sinner believes and is saved, he or she simply rests on God's facts. Salvation is accepting the fact of Christ's finished work. "We know that we have come to know him if we obey his commands. The man who says, 'I know him,' but does not do what he commands is a liar, and the truth is not in him." But what about feelings? Have they no place in the Christian life? Yes, of course they do. Feelings have a very definite place in our lives, and they are fine in their place; but they can get out of place. 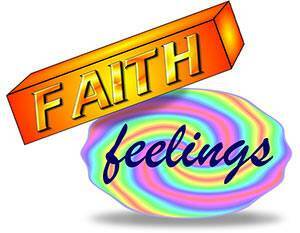 If you try to rest your faith on your feelings, the result will be confusion. Many people are looking for peace with God, but they are looking for it in the direction of their feelings rather than in the direction of God's facts. This does not mean that we should ignore our feelings. The Bible says that we have "joy and peace in believing," and this is certainly true. Many Christians do have a wonderful feeling when they are saved. If you were one of these who did, that's great! But remember to rest your faith on God's facts which are eternal and unchangeable, not on your feelings which may change overnight. "Feelings come and feelings go, But feelings are deceiving. Naught [nothing] else is worth believing." This matter of coming to know God is like a game of checkers in this one respect—the players move alternately. First, the black moves. Then it is red's move, and black cannot move again until red has moved. In the matter of our salvation, God has already moved. He has done everything in Christ. Now, it is our move to accept this by faith, and God cannot move again until we do. You may stay up all night pleading with God to do something to save you, while all the time God is saying, "I have done something. I gave My Son to die for your sins. Now it is your turn to believe this and trust Him as your Savior." The moment you do this, it is God's move again, and He will give you the peace that you have longed for. The Bible says, "Anyone who believes in the Son of God has this testimony in his heart." 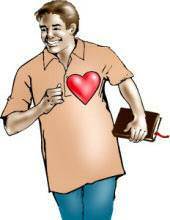 (1 John 5:10) Note the order—first you believe, then you have the testimony or witness in your heart.